October 13, 2015 by Ecommerce News. About Statistics with tags The United Kingdom. 6018 views. Businesses in the United Kingdom are trying to maximize the revenue potential of digital technology, but having a hard time to make this a reality. They invest heavily in digital commerce, but still only 19% of total annual revenue comes from digital commerce, a new study shows. 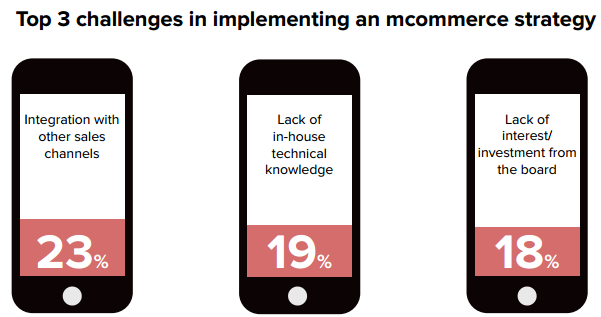 It seems that the issue of integration with traditional sales channels such as face-to-face and in-store is the biggest battle for developing ecommerce as a whole, and more specifically when it comes to mcommerce. But UK companies also seems to have problems with handling customer service and managing the distribution of products when selling to customers. Still, businesses don’t need convincing of the advantages of digital sales channels. The vast majority of retailers (95 percent) agree they have experienced benefits as a result of mobile. Key benefits are the ability to collect customer data and targeting customers more accurately. In the retail sector (excluding manufacturing, retail-grocery, retail-luxury and wholesale) digital commerce currently drives 26 percent of sales. That figure is set to rise to 40 percent over the next five years, Salmon predicts. 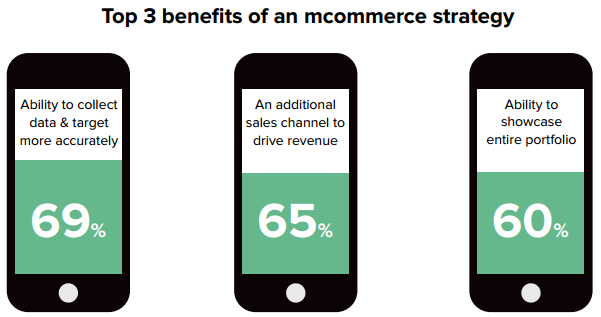 Meanwhile, almost one in four retailers (23 percent) think mcommerce will drive 20 to 30 percent of their revenue growth over the next five years. Now already 63 percent of retailers use mcommerce. According to the ecommerce consultancy company, businesses in the UK face challenges in turning benefits into increased sales. What won’t help them either is the fact two in three companies don’t have a dedicated team in place or a plan to deal with the pace of change. And over half of respondents say their organization doesn’t have the skills to maximize the potential of digital technologies. Nonetheless, businesses are preparing to take advantage: almost half of all organizations (49 percent) say they plan to invest in the Internet of Things and wearables within the next five years. The full report can be downloaded as a pdf.